• High strength RocketSteel supplied by Carpenter creates a thin and hot face. 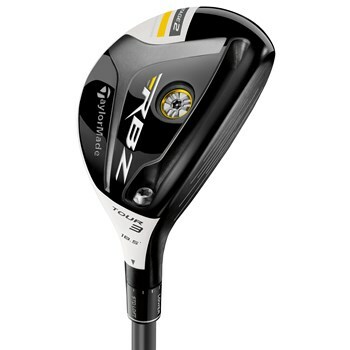 • 7 standard and 5 upright loft adjustments for each Hybrid. • Improved Speed Pocket design flexes faster to produce faster ball speeds and greater distance. • Low and forward CG location produces high ball speeds, high launch and low spin. • Black clubface, non glare white crown, and new crown graphic all aid in easy alignment.